A Corolla Light soundfront beauty, this amazing Corolla Light home offers some of the best views in Corolla. This home perfect place to relax, let the day pass by and enjoy all of Corolla's amazing wildlife. Inside you will find a home spacious enough for entire family including, 6 bedrooms, 7 bathrooms and over 4,000 square feet of heated living space. A large open floor plan with great room, a chef's kitchen and dining area well-designed for entertaining. This level also offers 2 bedrooms including 1 master, 2 full bathrooms, and gas fireplace. The mid-level has an additional 3 master bedrooms, and 2nd living area / den. The ground level has the final of the 6 bedrooms, game room with pool table and large 3rd living area. Outside offers a huge soundfront pool and hot tub. 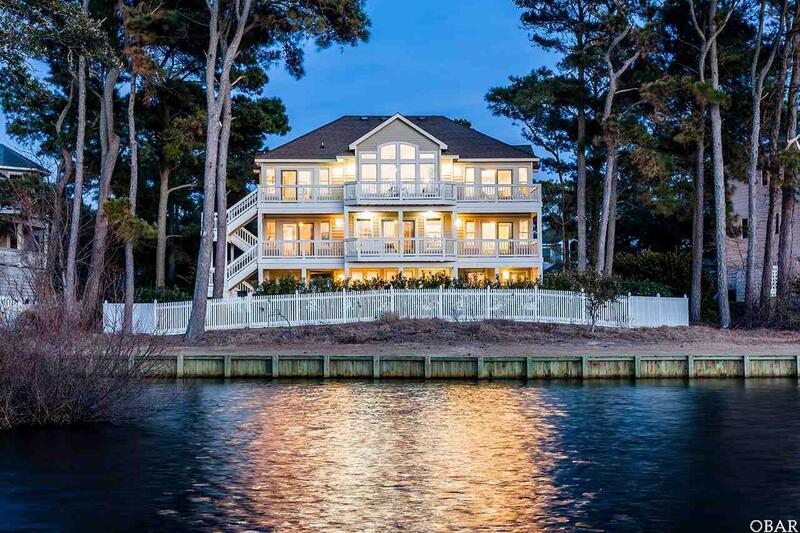 The location, condition and views from this house will amaze you, add in the award-winning Corolla Light amenities and this home is a must-see.